Need to look good ASAP for a wedding, graduation, party, date, job interview, formal photograph, reunion or other last-minute events? When I want to look better quickly, I’m tempted to apply way too many different skin care products, which of course, causes irritation. So if you have sensitive skin like me, what can you do in a weeks’ time to make skin look healthy, glowing, and younger? Deeply hydrating facial skin can immediately take years off your look, as well as makes you appear well rested, healthy and happy. 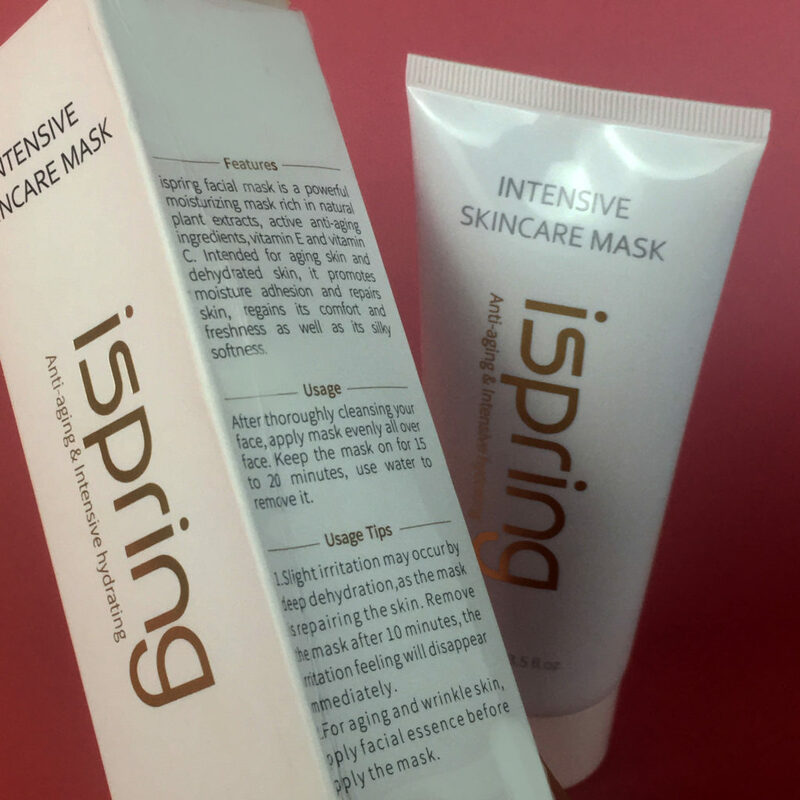 The Ispring Intensive Skincare Mask deeply moisturizes to repair and energize skin making it appear softer, smoother and with fewer wrinkles. With daily use, it boasts younger skin in seven days. Style Chicks put it to the test to find out for ourselves and saw softer, smoother, deeply hydrated skin. 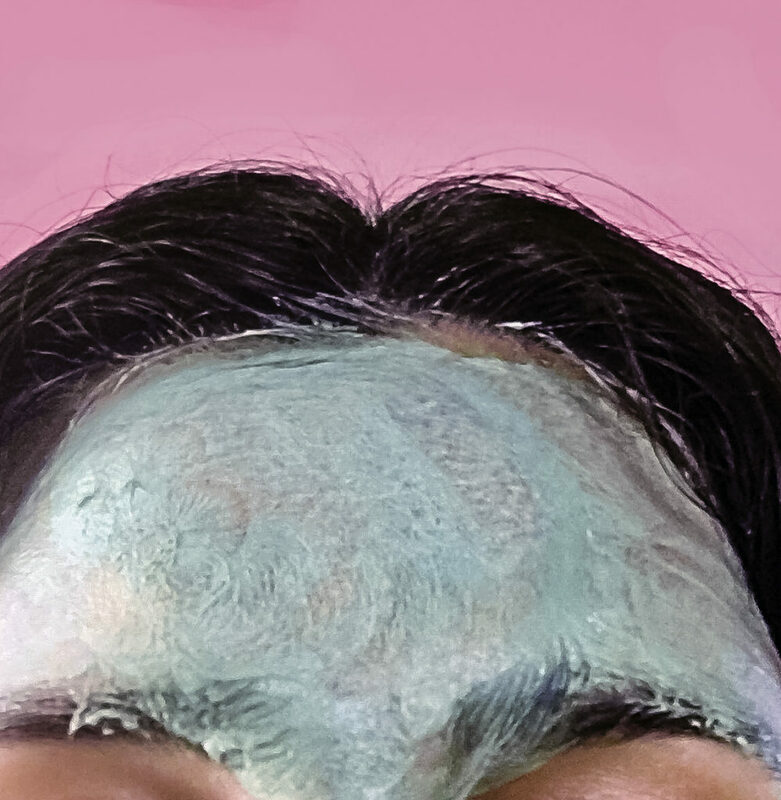 This FDA approved mask pairs deeply hydrating moisturizers with powerful anti-aging ingredients which soften skin, fade discoloration, build collagen, fight acne, smooth wrinkles and improve skin tone and firmness. We all moisturize, but many factors rob our skin of moisture during the day, potentially leaving skin dehydrated. These factors include our makeup, forced air from indoor heat or air conditioning, pollution, extreme cold, heat or windy weather, even those long hot steamy showers that feel so good on our bodies rob our skin of precious moisture. Dehydration makes skin looks its’ worst, with pores appearing larger, wrinkles appearing deeper, and skin appearing less plump and more sallow. But when skin is well hydrated, those same wrinkles seem less severe, skin is plumper and vibrant, and often hydrated skin has less dead skin cells, making it appear smoother and younger. When this hydration is paired with active anti-aging ingredients it makes for longer-term skin rejuvenation. 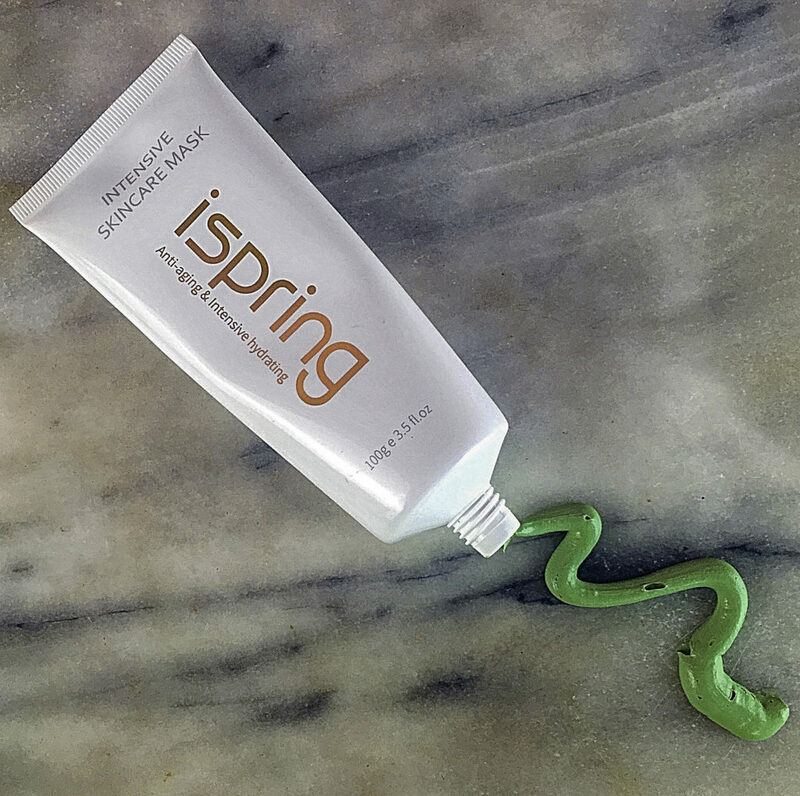 This is where Ispring Intensive Skincare Mask works its’ magic. 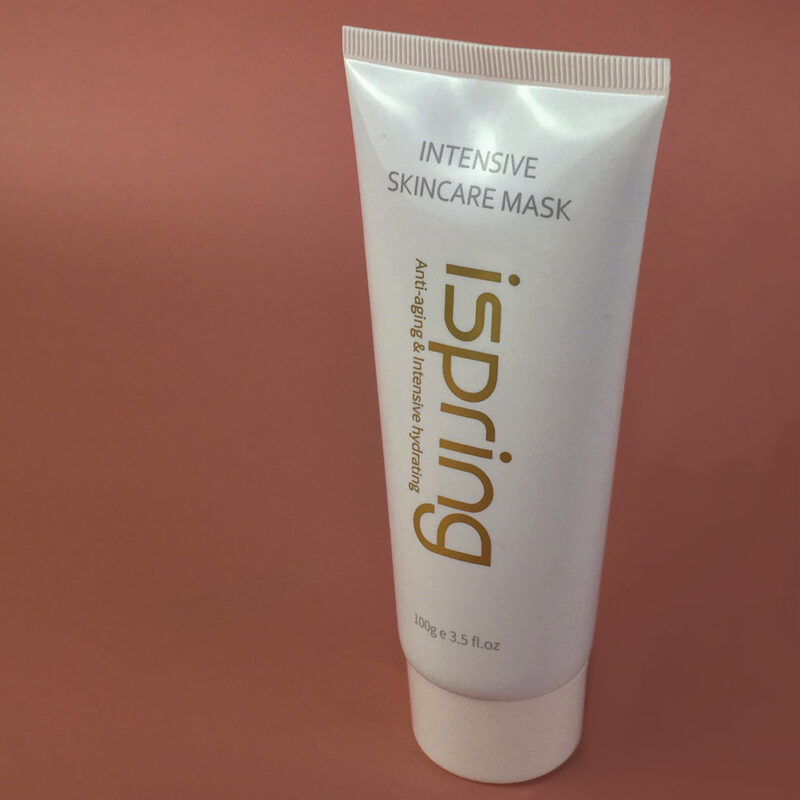 Ispring Intensive Skincare Mask pairs active anti-aging superstar ingredients such as Vitamin C and Vitamin E with deep moisturizers, the moisture helps buffer the Vitamin C and E so that skin is not irritated by these powerful but sometimes irritating ingredients. This combination results in two important things: moisture adhesion, meaning moisturize binds into the skin longer, and skin repair. 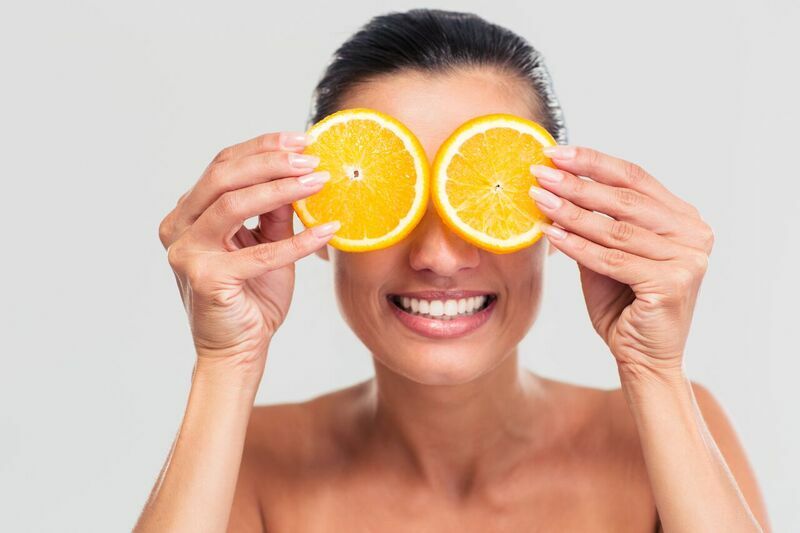 Vitamin C is the all-star superhero of anti-aging, Vitamin C accomplishes so many things to make skin look better including building collagen, fading dark spots and scars, fighting acne, lessening wrinkles, creating a natural glow, and encouraging skin cell turnover. But many people find that topical Vitamin C is too irritating to the skin, leaving it feeling itchy, dry and red. But by using Vitamin C within a facial mask, you get all the benefits without the drying and itching often associated with topical Vitamin C use. Vitamin E fights free radicals, which rapidly age skin before its’ time. Free radicals include environmental pollutants that we all are exposed to, especially in cities. Free radicals make wrinkles worse and prevent scars from healing. Vitamin E protects the skin against the type of cell mutation that results in photodamage (sun exposure) and pollution. It also calms and hydrates sensitive skin. Vitamin E works best when paired with Vitamin C, which is also in this mask. 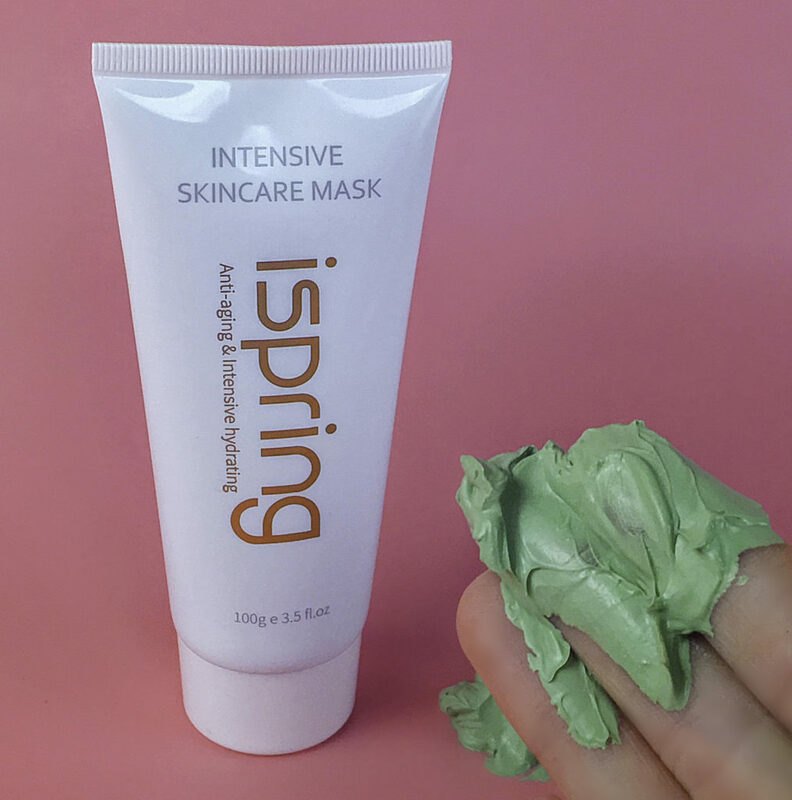 But Vitamin E alone is a very heavy oil, so the best way to apply it is paired with Vitamin C, let it soak in, then wash it off, just like how you use this Ispring mask. Beeswax is a remarkable moisturizer that also heals. It treats sensitive skin conditions including Dermatitis, Psoriasis, and Eczema. It clears up acne, as well as heals dry and cracked skin. 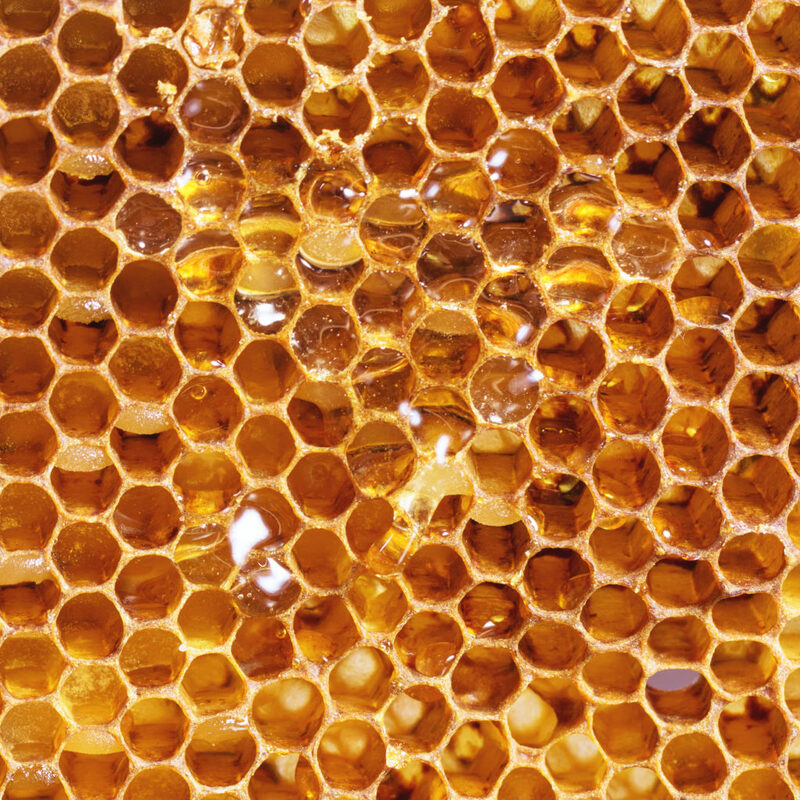 Beeswax even reduces stretch marks, in part because it helps build collagen, especially within atopic scars. It has an amazing ability to extendedly lock in moisture. It is also rich in Vitamin A, which the basis for the anti-aging ability of Retinol products. Vitamin A softens and rehydrates the skin while aiding in the cellular reconstruction of the skin, which means fewer wrinkles. age spots and over time, less sagging. I tried Ispring each evening for a week to see what would happen. I applied the mask and left it on for fifteen minutes, relaxed, then washed it off. My skin did not feel tight or at all irritated during use, it was comfortable and did not sting like some products with Vitamin C can tend to do. TIP: If you have especially sensitive skin or skin conditions, apply for only ten minutes until your skin becomes accustomed to the mask. After using the mask, my skin felt instantly softer and smoother. I had a very light exfoliation of dead skin as I washed, but it did not leave behind any redness, flaking skin or irritation. It had a beautiful glow. I particular like that feature since there is no way of faking that natural youthful glow of healthy skin. Of note, it stayed soft overnight even though I had the air conditioner on all evening, which tends to dry out my skin. The next day despite being in a dry, forced air office that tends to make my skin feel dry and itchy, my sensitive skin felt far less irritated than it typically does. I suspect the environmental conditions of forced air and pollution in the city make my skin particularly dull sometimes, but my skin still had a nice glow during the week of use. I used it again each night, and the cumulative moisturization benefits are impressive. It really does a great deal to reduce the appearance of eleven lines on the forehead, and fine expression lines around the mouth. 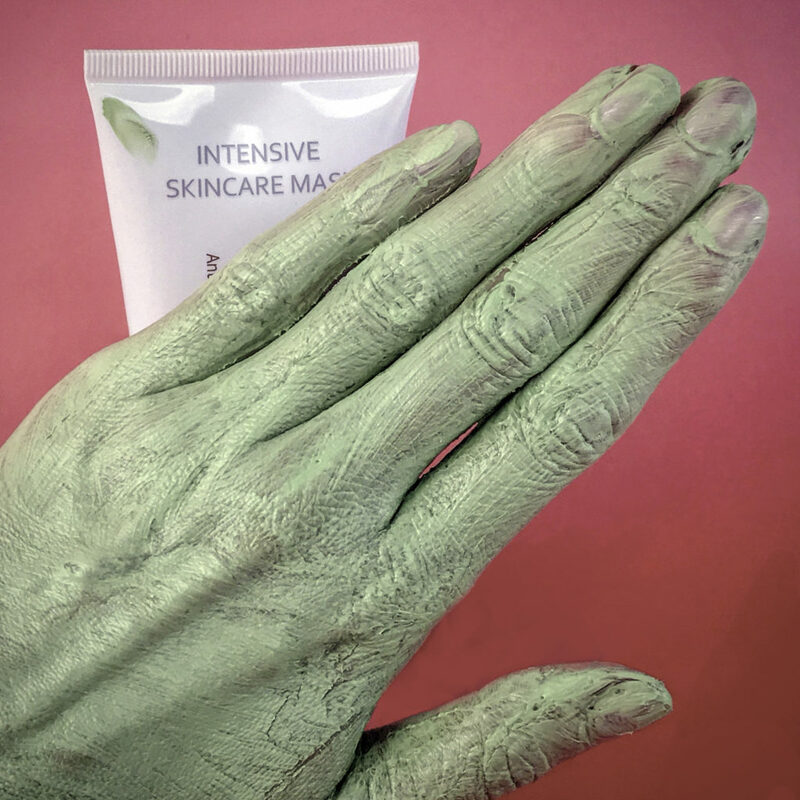 While I can be sensitive to some of the ingredients contained in this mask, the moisturizing emollient factor of the mask makes it tolerable and easy to use. I did not experience the type of irritation that occurs with typical Vitamin C or Vitamin A (Retinol) use. My acne looked better during this week of use, even though I did not use any acne specific products. I like to use it on my throat, decolletage, and hands for a moisturizing treat. Use daily for seven days, then 2-3 times a week to maintain results and experience the full benefits of Vitamin C skin regeneration. Over time, with regular use, this method of Vitamin C application reduces acne and fades old acne scars. It helps remove dead skin cells and refines the appearance of the skin by reducing the look of enlarged pores and softening wrinkles. It builds elasticity. Dry, damaged, dehydrated skin can look too old for its’ years. Deep moisturization plus Vitamin C is one of the best ways to improve the appearance of the skin, especially when paired with a topical Vitamin A delivery. 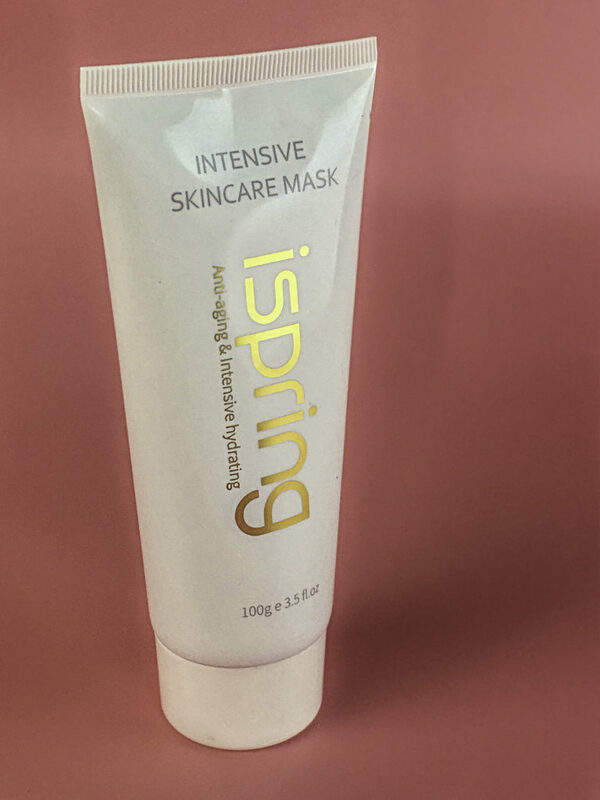 If your skin is too sensitive for traditional topical Vitamin C and Vitamin A (Retinol) creams, The Ispring Intensive Skincare Mask is ideal for you to get the benefits of these treating ingredients without the dryness and irritation they can cause. 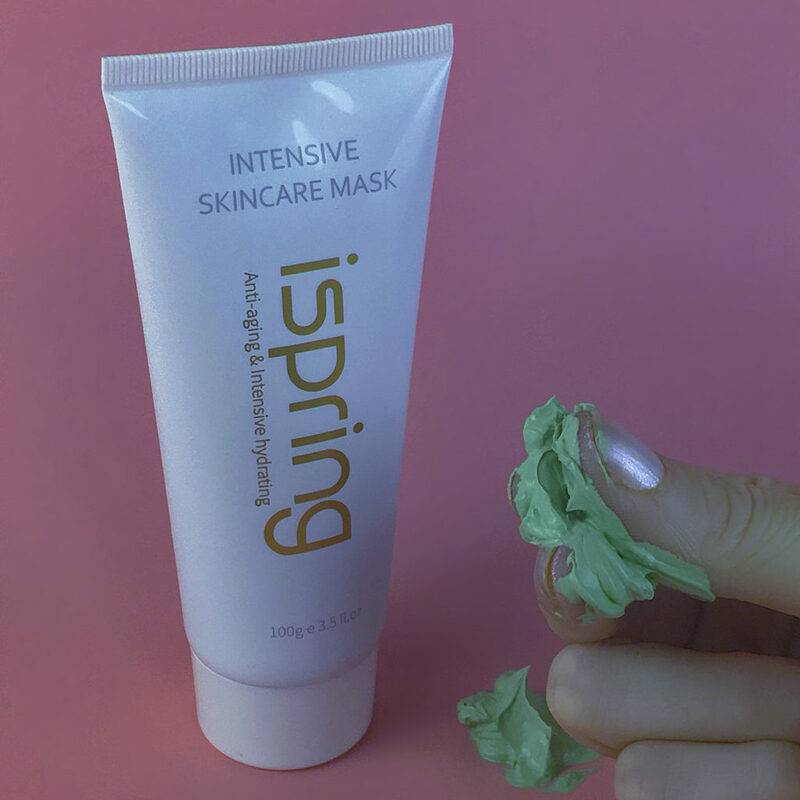 Combined with the deep hydration, healing, anti-oxidant and moisture-binding ingredients like Vitamin E and Beeswax, Ispring can make skin softer, smoother, and more radiant within days, and provide long-term anti-aging benefits with regular use. A great way to do a beauty makeover in less than a week! The fourth product we were sent for review by Citrus Clear is their Citrus Clear Pore & Blackhead Extracting Mask. I use this mask about twice a week and love the results. Citrus Clear Pore & Blackhead Extracting Mask reminds me of Liz Earle’s Intensive Nourishing Treatment Mask. Both hydrate the skin and tighten pores so leave a youthful, glowing finish. I have noticed that several small (and stubborn) blackheads have extracted after use, which is impressive for a non-abrasive mask. I use the mask as a negotiating tactic to get myself out of bed on early mornings – I set my alarm, turn on the coffee pot, apply the mask, and rest for a few minutes while the mask works its’ magic. It’s a relaxing way to start the day, and when I head in the shower, I simply wash it off with a soft washcloth. I find that my skin is more supple if I don’t use cleanser after, simply washing off the mask is enough cleansing for the morning. I’m really thrilled with Citrus Clear is their Citrus Clear Pore & Blackhead Extracting Mask for both the hydrating and extracting properties. I’ll definitely pick more up when I empty out the jar. 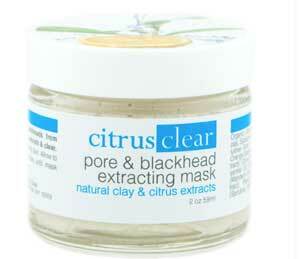 Find Citrus Clear Pore & Blackhead Extracting Mask at CitrusClear.com for $24.99. Organic Citrus Infusion, Organic Aloe Vera, Kaolin clay, Sodium Magnesium Silicate, Magnesium Aluminum Silicate, Cellulose Gum, Purified Smectite Clay, Vanilla, Sweet Orange Essential Oil, Wildcrafted Lemon Balm Extract, Orange Hydrosol, Lemon Essential Oil, Citrus Lime Essential Oil, Mandarin Essential Oil, Orange Peel Extract, Phenoxyethanol, Ethyl Hexyl Glycerin, Spirulina, Sea Kelp, Grapeseed Oil.